on the sustainability and clean energy sector in India. need for capital and support to turn their ideas into great companies. Infuse is a venture catalyst. Housed at IIM Ahmedabad's Centre for Innovation Incubation and Entrepreneurship (CIIE), we partner with exceptional entrepreneurial teams in India to help create, build and scale new cleantech business. We provide entrepreneurs with hands-on business and mentoring support, a world-class ecosystem of Indian and global partners, and seed & early-stage capital. We engage with ventures at the seed and early stage - where our knowledge, networks and funds can add significant value. We are generally the first institutional investor and are happy to work with entrepreneurs even at the idea-stage, and create a new business together. We like new business models. We believe there are already many proven and good solutions that are yet to reach the market. We think there is a big opportunity to figure out novel ways to deploy these solutions at scale, leveraging new innovations in technology, financing, design and marketing. We believe that access to the right relationships at the right time is key to rapidly building and scaling a new business. We back our entrepreneurs with a unique ecosystem of relationships and partners, offering advantaged access to expertise, market channels and potential partners. The Centre for Innovation Incubation and entrepreneurship is a centre of excellence at IIM Ahmedabad aimed at supporting entrepreneurs across the country. 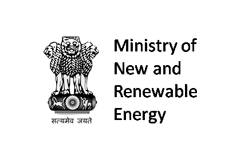 Ministry of New and Renewable Energy (MNRE) is Govt of IndiaÃƒÂ¢Ã¢â€šÂ¬Ã¢â€žÂ¢s nodal ministry for new and renewable energy activities in India. 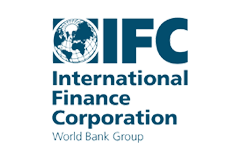 International Financial Corporation is a member of the World-Bank and provide finance and advisory for private sector ventures. 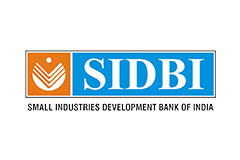 Small Industries Development Bank of India is a non-independent financial institution aimed to aid the growth and development of micro, small and medium-scale enterprises in India. BP is a global energy major. 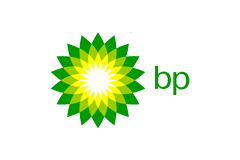 BP Ventures is the corporate Venturing arm of BP. 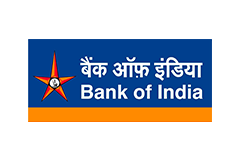 Bank of India is an Indian state-owned commercial bank with headquarters in Mumbai, Maharashtra, India. 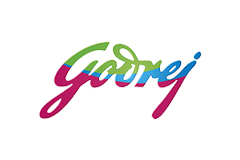 Godrej Industries is India's leading manufacturer of oleochemicals and is one of IndiaÃƒÂ¢Ã¢â€šÂ¬Ã¢â€žÂ¢s biggest industrial conglomerates. 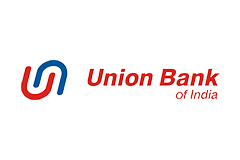 Union Bank of India is one of the largest public sector banks of India, is listed on the Forbes 2000. 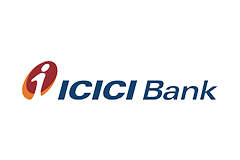 ICICI Bank is a multinational banking and financial services company based in Mumbai. It is the second largest bank in India by assets & by market capitalization, as of 2014.
endeavor to catalyze cleantech entrepreneurship in India. Aru is an independent advisor to entrepreneurs and businesses. 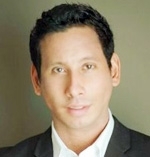 He has been in the Private Equity (PE) industry for over a dozen years and was, till 2012, Managing Director at JRE Partners, an Asian PE partnership between Rothschild, Jardines and Exor, that he set up and led in Singapore and India. Prior to JRE, he was with Standard Chartered PE and AIG’s PE business. 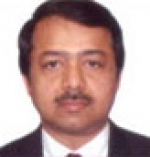 He began his career in 1995 with ICICI Securities, as an investment banker. Aru is an alumnus of BITS, Pilani and IIM, Ahmedabad, is a Chevening Gurukul Scholar from the London School of Economics and a Fellow of the Australia India Institute at the Univ. of Melbourne. He also serves on the Investment Committee of CIIE\'s early-stage cleantech fund - Infuse Ventures. His interests include social entrepreneurship, start-up mentoring, early-stage investing and value investing. Alok is presently working as Joint Secretary in the Ministry of New and Renewable Energy in the Government of India.He completed his B.Tech. (Electrical Engg.) from IIT Kanpur 1982 and joined IAS in 1984 in Madhya Pradesh cadre. He completed Master of Public Policy (specialisation in Environmental Policy) from University of Maryland, College Park (USA), M.Phil. (Panjab University), recently submitted Ph.D. thesis on National Rural Health Mission. 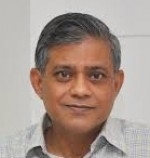 He has worked in sectors of rural and urban development, town planning, environmental management, drinking water supply, renewable energy, science and technology and culture (archaeology) - also worked as Private Secretaries to Union Ministers between 1999-2004. Gauri is a Director at International Renewable Energy Agency (IRENA). 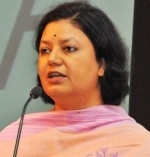 She is an IAS officer and prior to her current role, she was the Joint Secretary in India\'s Ministry of New and Renewable Energy (MNRE) where her responsibilities included all policy formulation and international cooperation. Gauri developed the policy framework of the National Solar Mission to generate 20,000 MW of solar power by 2022. She created a level playing field for foreign direct investment companies and independent producers to double the annual installed wind capacity. She initiated a shift in the off-grid policy paradigm to upscale renewable energy systems. She was also in charge of designing the framework for renewable energy certificates. 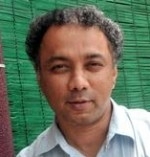 Magsaysay award winner Harish Hande is a cleantech social entrepreneur who co-founded SELCO INDIA to eradicate poverty by promoting sustainable technologies in rural India. Today SELCO INDIA has installed solar lighting systems in over 120,000 households in the rural areas of these states. Dr. Hande earned his Doctorate in energy engineering (solar specialty) at the University of Massachusetts (Lowell) and has an undergraduate degree in Energy Engineering from the Indian Institute of Technology (IIT), Kharagpur. Dr. Hande serves on the boards of many organizations, both national and international. A renowned visionary, Jigar Shah is committed to renewable energy and sustainable solutions that enable prosperity beyond the carbon economy. 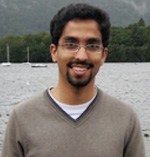 Jigar founded SunEdison in 2003. Under his leadership, SunEdison revolutionized the solar industry by introducing a business model to sell solar as a service. The transformation to solar power service agreements is responsible for turning solar services into a multi-billion dollar industry. 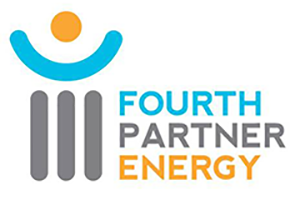 Jigar is also an expert on energy project finance, changing energy policy, working with entrenched stakeholders, and convincing individuals to embrace energy technology. He works closely with entrepreneurs, policymakers, and investors around the world to develop, incubate, and implement sustainable solutions. 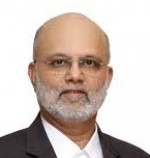 Mr Pramod Chaudhari, the founder-chairman of Praj Industries, global leader in bio-fuels technology, is an alumnus of IIT Bombay and Harvard Business School. He has actively pursued the green energy and climate change mitigation technologies for sustainability of business and the environment as a whole. His company Praj, which specializes in clean, green and renewable alternate fuel with a focus on ethanol, biodiesel technology and plant, has a worldwide presence. With revenues of close to INR 8 Bn, Praj has been the recipient of various recognitions including the 'Forbes Best Under a Billion Asian Company' for two years in a row. Prof Banerjee is the Dean (R&D) and a Faculty in the Department of Energy Science and Engineering, Indian Institute of Technology Bombay. He researches in the areas of energy management & energy efficiency, demand side management, energy modelling, power systems planning, cogeneration, fuel cell / hydrogen storage among others. He serves on various national and international committees and is a regular speaker at various nation and international conferences on sustainable energy. Rakesh is the Chairperson at Centre for Innovation Incubation and Entrepreneurship (CIIE) and is a faculty in the economics area at IIM Ahmedabad. His current teaching and research interests focus on public policy & regulation. 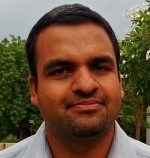 Recent work has focused on competition policy, inter-organizational linkages for technology development (especially academia-industry relationships), strategic and policy aspects of intellectual property rights, linkages between public policy and technological change, industrial clusters, economics of strategy and the small scale sector in India. Sectoral focus of research has been on Pharmaceutical, IT, Electronics and Auto-component industries. He is a recipient of the of the Ford Foundation Post-Doctoral Fellowship in Economics and has spent two years at the Economic Growth Center, Yale University, USA as a Visiting Research Fellow. He has also worked as a consultant to several international organizations. He was a member of the Indian Prime Minister\'s High-Level Committee (also known as Sachar Committee) to write a report on the Social, Economic and Educational Conditions of Muslims in India. Mr. Shekhar is an IAS officer of the Tamil Nadu cadre, 1981 Batch, and has held senior positions in both the State and Central Governments. 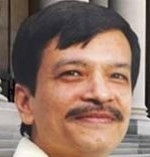 He has served as Director and Joint Secretary, Ministry of Power. He has also been Managing Director of Tamil Nadu Minerals, Tamil Nadu Urban Development Fund and Tamil Nadu Transport Development Finance Corporation. He was Director and later Joint Secretary at the Ministry of Power from 1998 to 2003 during which period he was also Director-General In-charge of Bureau of Energy Efficiency (BEE). Here he was associated in preparing Energy Conservation Bill 2001 which was enacted in 2001. He also prepared Action Plan of the BEE. 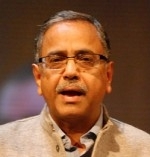 Prior to his current role, he served as whole-time Director at Power Trading Corporation of India (PTC). He has presented papers on sustainable power development at various international conferences. SK Jain has more than a decade of investing experience in India spanning public companies, private equity and venture capital. SK was also a co-founder and Managing Director at Sequoia Capital India. Prior to that, he served as the CEO of MeraNet, a college networking site that he co-founded while in business school. His work experience also includes stints in the Pentium Pro Design Group at Intel and the Semiconductor Product Group at Motorola. SK received an MBA from IIM Ahmedabad where he was awarded the President\'s Gold Medal for academic excellence. He also holds a B.Tech. in Electrical Engineering from IIT Delhi as well as an MS in Electrical Engineering from the University of Minnesota. Kunal conceptualized and leads INFUSE. He brings several years of incubation, investment, entrepreneurial and consulting experience. Since 2007, he has been leading IIM Ahmedabad\'s Centre for Innovation Incubation and Entrepreneurship where he set-up the incubator and seed-fund - leading incubation of and investment in over 25 early stage ventures across the technology sectors, including a dozen focused on the cleantech sector. 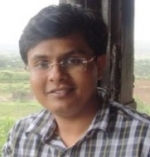 Kunal was a co-founder at Sarvajal (www.sarvajal.com) - a cleantech enterprise targeting the drinking water sector. Briefly, Kunal also bootstrapped a campus social network and recruitment start-up.Kunal is an MBA from IIM Ahmedabad and B.Tech from IIT Madras and has strategic and operational consulting experience across Citigroup and American Express. Shyam has over a dozen years' experience in the energy sector including investment management roles at Conduit Ventures, a corporate backed early stage energy venture capital fund in London and Nadathur Holdings, a family investment office in Singapore. At Conduit Ventures, Shyam evaluated and invested in startups operating in the areas of energy efficiency, energy storage and emissions control across Europe. 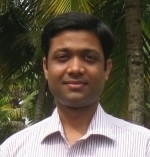 As part of the Energy Sector Management Assistance Program (ESMAP) at the World Bank (2005-2007) in Washington DC, he worked on Carbon Finance methodology development and techno-economic analysis of energy use in India and China and as a member of the China Energy Group at Lawrence Berkeley National Laboratory in California (2004-2005), he addressed topics around low carbon technology penetration in the transportation sector in China. 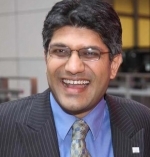 He was also a materials research engineer at Acumentrics Corporation and Fuel Cell Energy, fuel cell technology based energy businesses in Boston, Massachusetts and Danbury, Connecticut from 2001-2004. Shyam holds a Masters in Materials Engineering from the University of Missouri, a Bachelors in Metallurgical Engineering from National Institute of Technology (NIT) Nagpur, India and advanced energy policy studies from the University Of California. Daniel has had more than 13 years senior-level experience of the global energy and cleantech industry, focusing on economic and political risk analysis, business and innovation strategy, and venture capital investments. Most recently, he was Director of Strategy in BP Alternative Energy’s Ventures & Strategy team, where he helped set-up a +$100m corporate cleantech venture capital fund. In this role, he managed and executed cleantech venture capital investments as well as provided overall strategic support to BP Alternative Energy including leading the analysis of emerging clean energy sectors such as electric transport, solar PV and energy efficiency. He has been very actively involved in setting up of INFUSE. Daniel has a MSc in Economics from London School of Economics, and a MA/BA in Business and Political science from Uppsala University in Sweden. He has also studied at University of Michigan at Ann Arbor and at Sorbonne University in Paris. Anil has had a 17+ year association with Intel as an engineer, investment manager and most recently as an Entrepreneur-in-Residence. Prior to INFUSE, as a fund manager at Fusiontech Ventures, he has evaluated opportunities and led investments across the cleantech sector. 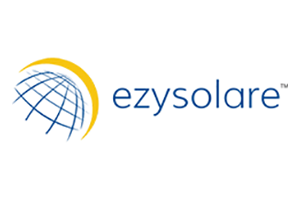 While at Fusiontech, he led investment in, provided very active hand-holding and managed exit from a leading solar-thermal start-up - generating over 60% IRR. 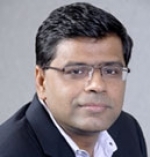 Apart from serving on boards of portfolio companies, Anil actively helps the companies with strategy, business development, technology and marketing as needed. 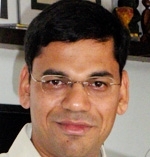 He holds an MBA from Wharton, MS from University of Texas at Austin and a B.Tech from Univ of Pune. With friends and family, he has recently set-up a restaurant in Pune - which he has built into a very strong local brand within a year of operations. As an Investment Manager at Infuse, Vibhor is responsible for studying various sectors and segments that comprise the cleantech landscape, as well as explore and evaluate business models that have the potential to become game-changers. Prior to joining Infuse, Vibhor was with Ernst & Young’s business advisory practice for 5 years, focusing on energy and cleantech sectors. 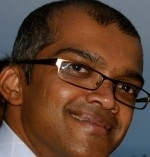 He was also a key member of the team that set-up the cleantech practice at E&Y. Vibhor has also done a volunteer stint with Teach India. He also has 2 years of industry experience at Bharat Petroleum. Vibhor has done his MBA from IIM Bangalore and B. Tech. (Chemical) from IIT Delhi. Additionally, he has also completed a programme on Renewable Energy from TERI University. At Infuse, Amber\'s role involves identifying investable opportunities within the clean technology sector and working closely with portfolio companies on strategy, process improvements and team building. 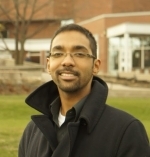 Prior to joining Infuse, Amber was a consultant with The Boston Consulting Group where he worked on strategy as well as operations projects for corporates across Industrial Goods, Financial Services and Information Technology. He has also spent 2 years with Deutsche Bank where he worked on equity sales and portfolio transitions for institutional investors like pension funds and asset management companies across Asia. Amber is an MBA from IIM Ahmedabad and a Mechanical Engineer from IIT Kanpur. Mohsin joined CIIE in May 2012 and is managing Cleantech Ecosystem Development activities, in close liaison with INFUSE Ventures. He is primarily tasked with managing programmes focused on engaging early stage cleantech entrepreneurs, innovators, and other key stakeholders in the ecosystem. In this regard, he has been involved in the planning and management of the PowerStart Program - India\'s first boot camp & accelerator program focused on early stage cleantech ventures. He is also responsible for initiating and setting up partnerships with other organizations, individuals and initiatives in the cleantech and development space in India and abroad. Prior to joining the Centre, Mohsin had worked briefly with the International Renewable Energy Agency (IRENA) in their Technology Cooperation division. Prior to that he worked as a Research Assistant at McGill University, Canada. He holds an MS in Bioresource Engineering from McGill University (2012) and BTech in Biotechnology from VIT University (2009). Supriya is working with CIIE since Jan 2010. Currently she is a part of the cleantech team in CIIE and is involved with the INFUSE program.She has been actively involved in organizing events and managing the back office operations for many programs at CIIE. She has helped with the promotional activities of many initiatives of CIIE including The Power of Ideas, Piramal Healthcare, iAccelerator, Mentoredge, IIMaverick\'s and the Powerstart Bootcamp. Before joining the centre she was working with Tesla, an engineering firm that provides architectural and structural services. She was handling the HR and admin panel in the company. 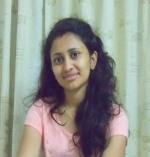 She is currently pursuing her Masters in Strategic HR & Operations from symbiosis, Pune. She also brings an experience of working with Reliance Infocomm and Vodafone (Hutch) as team leader in outbound process for 3 years. seed support initiatives may be beneficial for you. The Renewables Seed program, supported by the Ministry of New and Renewable Energy, Govt. 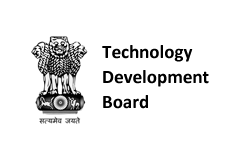 of India, aims to support piloting of new ideas to increase the adoption of renewable energy in India through new IT, financial model & product innovations. Six ventures have been provided with piloting grants through this program. 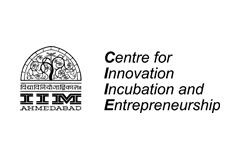 Infuse is a Cooperating Fund Manager for the Seed Capital Assistance Facility ÃƒÂ¢Ã¢â€šÂ¬Ã¢â‚¬Å“ a unique financial support program for early stage clean energy enterprises. SCAF is implemented through the United Nations Environment Programme, the Asian Development Bank and the African Development Bank. Read more. PowerStart is an accelerator program for cleantech startups run by Infuse Ventures in partnership with CIIEÃƒâ€šÃ‚Â and the Asian Development Bank. Three editions of the accelerator have been held; read about the teams in the most recent edition here. We help entrepreneurs build and rapidly scale their ventures. We provide active and hands-on support, access to key relationship and risk capital. persistence and vision to make a difference and to build a great business. Infuse invests in scalable, innovative cleantech companies that can grow into tomorrowÃƒÂ¢Ã¢â€šÂ¬Ã¢â€žÂ¢s cleantech superstars. These are the companies that we have committed financial support to so far. 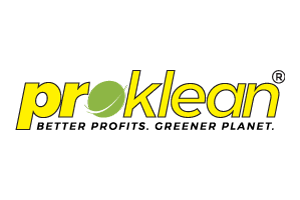 Proklean manufactures natural, 100% bio-degradable, non-toxic biosurfactants that can reduce the use of harsh chemicals in various industrial applications like textile and paper processing and effluent treatment, using its proprietary and unique technology platform. 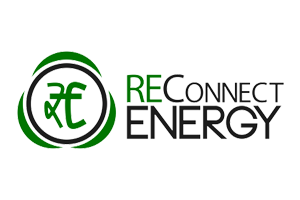 REConnect provides forecasting, lifecycle services for RECs, and strategy and support services in the carbon, electricity and energy efficiency markets. Revive provides a decentralized, small-scale solution for e-waste management and extraction of precious metals from e-waste like discarded printed circuit boards. 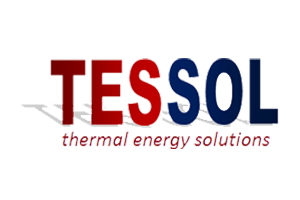 Tessol is involved in the design and engineering of thermal energy storage solutions across various applications, with a current focus on refrigerated transport and HVAC for small & medium systems. 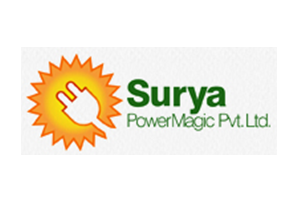 Surya PowerMagic is a developer of low-cost, efficient agricultural solar water pumps, positioning themselves as distribution and execution specialists within the sugarcane industry. "Things" that would normally work in isolation are increasingly getting connected and developing intelligence. 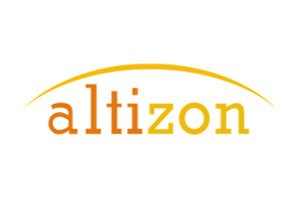 Altizon is a part of this revolution, offering a highly scalable platform for manufacturers to build intelligent connected devices and manage them from the cloud. 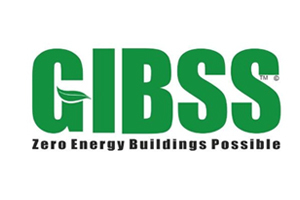 Gibss geothermal cooling solution can help reduce operating cost of an air conditioning system by upto 70%. 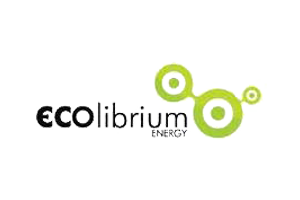 Other products include: Hot water co-generation and LED lighting. 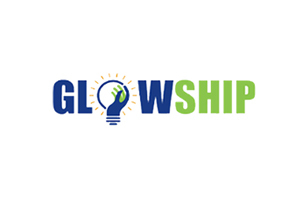 Glowship is a dedicated platform for online purchase of energy and environment products, services and solutions, with user-friendly and robust decision-making tools. 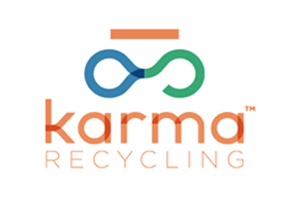 Karma Recycling provides a platform for trade-in of used electronics, particularly mobile phones and laptops, ensuring efficient pricing and certainty of fulfilment. It works with leading retailers too managing their buyback programmes. For seed or growth funds. PurposeÃƒâ€šÃ‚Â - Summarize the purpose of your company in a sentence. ProblemÃƒâ€šÃ‚Â - Who is your target customer and what problem of theirs are you solving? OfferingÃƒâ€šÃ‚Â - Your unique offering (product or service) including features you offer. Business ModelÃƒâ€šÃ‚Â - How will your venture make money? What are the revenue and cost drivers? TeamÃƒâ€šÃ‚Â - Brief profile of founders, advisors and key management. Please do not include any confidential information in the business plan. Copyright © 2013 Infuse Ventures, Inc All Rights Reserved.